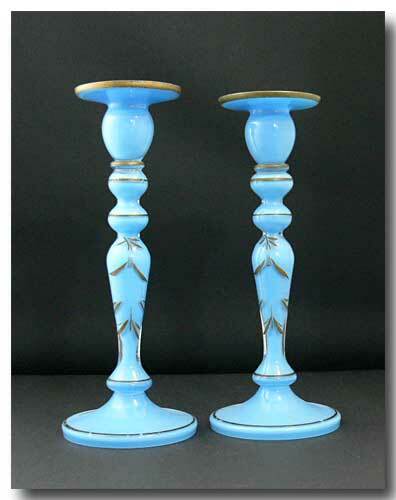 Here is a pair of blown Bristol Glass candlesticks with hand-painted gilt decoration and wide drip catchers. 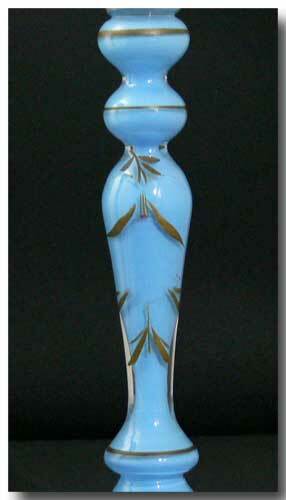 The glass & the floral decoration are in great condition with only some rubbing to the gilt bands to report. 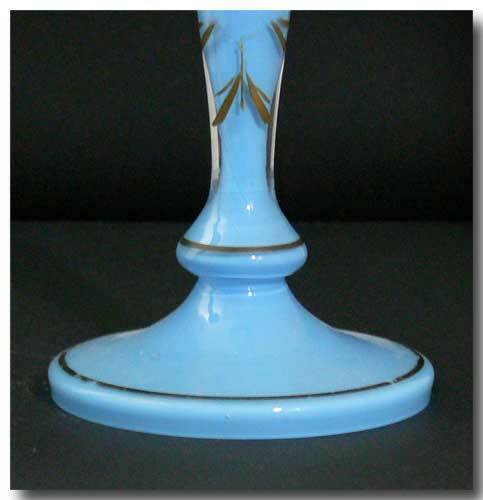 The colour is a stunning robin’s egg blue but somewhat deeper than shown in the pictures. These are individually blown so you will see a small difference in height and thickness but they are an original pair. 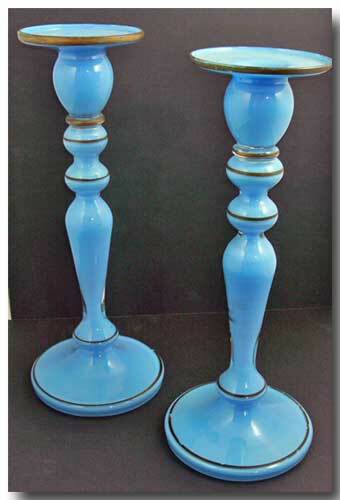 There are many Bristol Glass vases to be found out there but a pair of Bristol Glass candlesticks is rare. Heights in inches are approx. : 12.125 and 11.875 respectively. These date circa 1870’s.